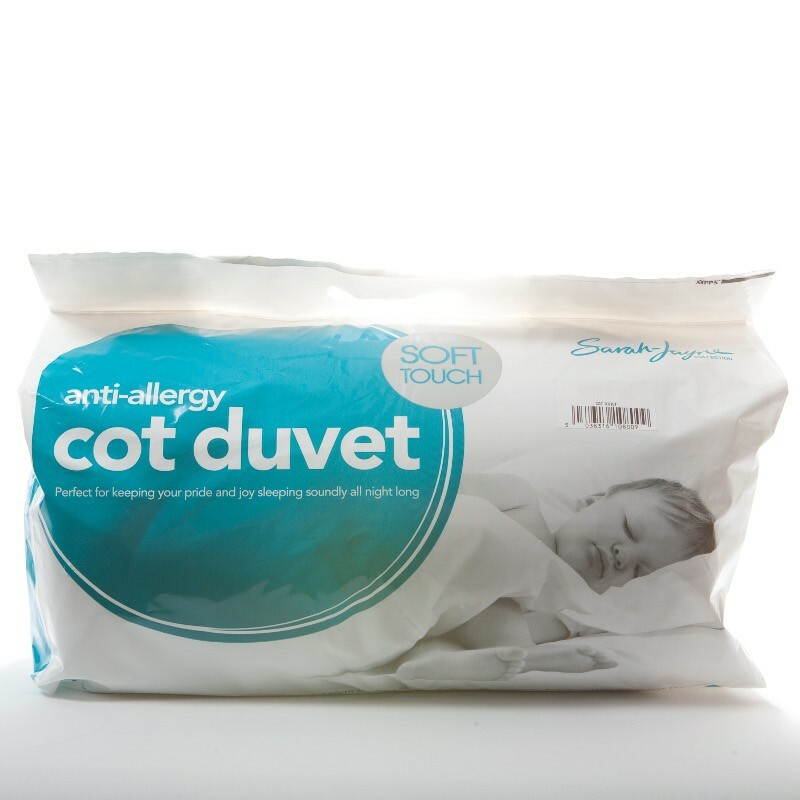 This quality cot duvet is made with Synthetic Hollowfibre, created from a super soft polyester cotton cover. It also has a channel stitched construction which keeps the filling evenly distributed preventing any cold spots and provided warmth without weight. Anti-allerginic duvet filled with 100% Anti bacterial & Anti Microbial filling, so it's perfect for keeping your pride and joy sleeping soundly all night long.